G4ILO's Blog: Mathod in the madness? Go here http://www.abebooks.com/ Pick more search options and put the title in and pick UK as country. Looks like you could get it for 23.75 pounds + shipping. Thanks for all the links. 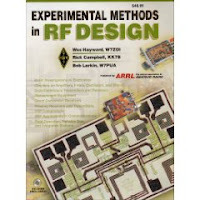 As ARRL has it I checked the RSGB bookstore and it appears you can get it from there too. The Amazon listings led me to think it must be out of print so I never thought to check there, though Amazon is usually cheaper anyway. It makes it even less comprehensible why people are advertising this book for $600. "It makes it even less comprehensible why people are advertising this book for $600." Because they can. Ebays full of crazy stuff like this. I saw a 20 year old so so Kenwood HF rig listed yesterday for 100 dollars more then its original list price. Maybe they figure if they go fishing long enough someone will bite? The Interweb is full of traps for the unwarely and the click happy or spam would not be worth the effort.